What are you doing for Valentine’s Day? I received a coupon in the mail from Wells Fargo and Visa Signature that allowed me to buy a $25 certificate for $6! So I called Chef/Owner Dean at The Snake Creek Grill and we will be having an early dinner that night. We don’t need much. Some time together, dinner at a fabulous restaurant we’ve been wanting to try, and back home again to get the kiddos to bed. I’m soo looking forward to our night out. Have you made reservations yet? Here is the link at VISA.com. Not a VISA cardholder? Go to Restaurant.com and find some great discounts, (generally $25 for $10), for restaurants near you. You can pay with your card or paypal, and then the certificate is sent to your email, you print it out, and voila: wonderful savings. So don’t let the love-ly day slip away without a special dinner with loved ones! p.s. 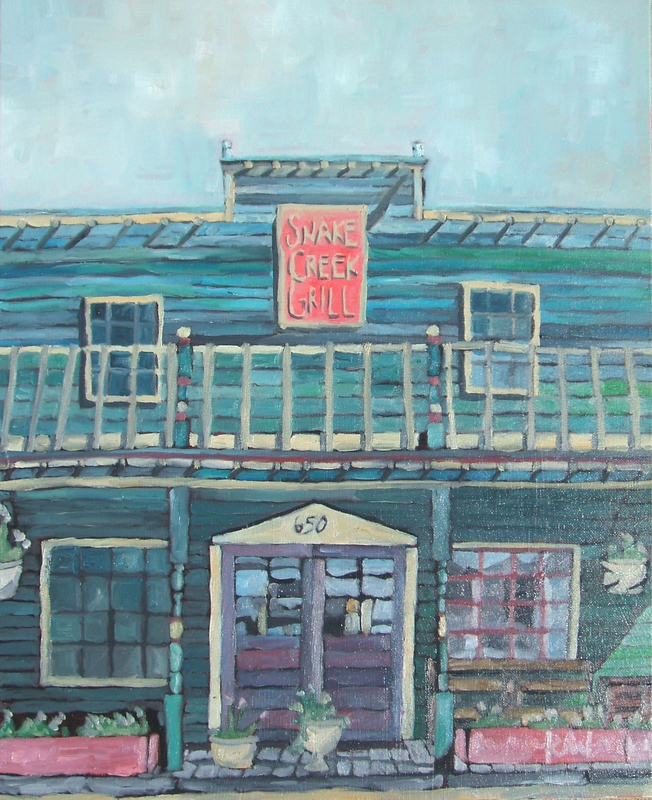 The painting shown (by yours truly) is currently for sale at the Snake Creek Grill.